Agriculture represents just 10% of global trade value at current prices. Despite the fact that it only accounts for such a small share, the sector has particular features that make it significant in the international trade negotiations arena. Agricultural production and trade are considered sensitive areas because of the part they play in strategic food security issues and the uncertainty caused by shifting climate patterns and abrupt changes in regulatory policies. Market trends toward instability and volatile prices are commonplace in agriculture, so policy instruments are often used to mitigate these. 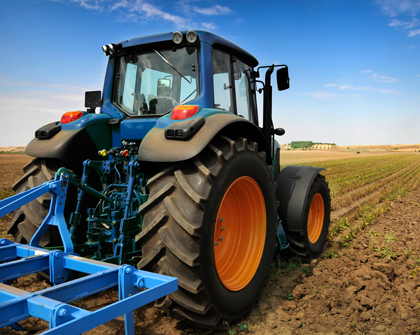 Technological change and the effects of agriculture on the environment are two other variables that make this sector a particularly sensitive one. On the global supply side, it should be noted that agricultural products play a large part in the export basket of numerous economies, almost all of which are considered to be developing countries. In nearly 50 countries, agricultural products explain over a third of total exports, and in 33 economies they account for more than half of these. In Latin America and the Caribbean, 11 countries fall into the first category and six into the second. The profile of the agricultural sector makes multilateral negotiations a complex but necessary issue. Source: IDB/INTAL using data from IDB/INT (Trade and Integration Monitor, 2016). Market access: trade restrictions that affect imports. Export subsidies (and other methods): used to artificially make exports more competitive. Domestic support: subsidies and other programs, including those that raise or guarantee the price paid to the producer and farmers’ incomes. Domestic support is classified into four main categories, known as “boxes,” depending on how far they distort production and trade, and countries’ commitments to reducing these (table 1). Source: IDB/INTAL using WTO data. In addition to certain standards, the agreement included a commitment to continue with the reform via new negotiations. These negotiations began in 2000 with the Doha Round. However, as is well-known, this process is yet to be concluded. One early sign of progress came in 2013 with the Trade Facilitation Agreement, the first multilateral agreement since the Uruguay Round. Another came in 2015 with the new commitments on the competitiveness of agricultural exports. In addition to the de facto expiry of the single undertaking principle, there are several other key factors behind this progress in multilateral negotiations, which is modest in relation to the Doha agenda as a whole, but still significant. First, it reflects increased trust in the global market that is regulated by multilateral rules. Second, although global trade stagnated between 2010 and 2015, trade in agricultural products has proved resilient and is the area that grew most during this period. While total trade flows grew by an annual average of 1.6%, agricultural trade increased by 3.4% per year, more than double the total rate (figure 2). Against this backdrop of relative strength for the sector, the prices and volumes of agricultural trade have remained relatively high since the most recent financial crisis (figure 3). On the one hand, this “endogenously” deactivates the need for mechanisms such as export subsidies while also making the idea of “cutting the slack” from the existing margins of distortive domestic support a plausible one. If farmers are looking at strong demand and high prices, there is less pressure for protectionist measures. On the other hand, it shows that the growth in demand for agricultural goods (caused, for example, by improvements to the diet of large sectors of the population in emerging economies) is having a positive effect on trade flows, in that part of this stimulus is being channeled through imports. Source: IDB/INTAL using IDB/INT data. These cyclical factors have created a better context for trade in agriculture and have marginally improved expectations around negotiations in this area. The commitments achieved at the Ministerial Conference held in Nairobi in December 2015 on eliminating subsidies to exports of agricultural products are testimony to this. In fact, this reform is the most important in this area since the WTO was established. From one point of view, the current structure of multilateral regulations for agricultural trade (which we could call the “Uruguay–Nairobi Agreement”) is a major milestone, considering that it is a structure of disciplines for the sector that has been most reluctant to engage in free trade in many countries and that it has managed to eliminate the broadest protectionist and distortive mechanisms. It is also true that it still falls short of what is needed. The regulation of agricultural trade continues to allow distortive practices in several senses. Relatively high tariffs persist in the market access component, including tariff peaks on some products which in practice prevent trade; tariffs are highly scattered; and there is significant tariff escalation (higher tariffs on products with greater value added); and differential taxes apply, among other restrictive measures. With regard to domestic support, although distortive intervention has been reduced, the upper limits that have been sent for this are extremely high and other forms of flexibility are still available: for example, the so-called de minimis clause legalizes the use of distortive instruments which, due to the scale of suppliers, could impact on global prices for agricultural goods. However, although the cyclical factors mentioned above have played a part in creating a better context for negotiations, fiscal targets in several developed economies do not seem to indicate this to be the case. Strictly speaking, there is no sign of intense fiscal adjustments in any of the economies where such interventions play a significant role. In the United States, domestic support levels are higher than in the crisis years, which might suggest that there is room to reduce these, but it is unclear whether there is any willingness to take on permanent commitments to do so beyond current levels (figure 4). The possibility of a fiscal reform in the US further complicates matters. Although the level of distortive domestic support measures is at a historical low, almost all of these reductions in recent years have been transferred to the so-called green box, in other words, everything that has been left off the negotiations table. These positive developments in the reform of the Agreement on Agriculture may continue, provided that trade in agricultural products remains strong (through relatively high prices and growth in demand) and the increased trust that has developed among players continues. However, the uncertainty that characterizes the sector and the risks associated with this continue to make agricultural trade a complex area in which to create agreement among countries. One of the characteristics of negotiations is that the agenda has been skewed toward domestic support and the competitiveness of exports, while market access has not clearly featured on it. Negotiations around the latter reflect the offensive interests of small countries that specialize more in agriculture. In contrast, the focus on the competitiveness of exports and domestic support mainly arises from the defensive interests of countries with large, unspecialized domestic markets which are also large-scale agricultural producers. It is to be expected that these small advances in this area will be consolidated and the gradual development of agricultural trade flows will generate a space of trust in which the rules and disciplines of multilateral regulations are expanded, to the benefit of all countries. Giordano P. (ed.). (2016), “Downshifting. Latin America and the Caribbean in the New Normal of Global Trade.” Trade and Integration Monitor, IDB, Washington, DC. Glauber, J.W. (2016), “Unfinished Business in Agricultural Trade Liberalization,” Working Paper, International Food Policy Research Institute, Washington, DC. Ramos, A. (2017), “La dinámica de la negociación agrícola [The dynamics of agricultural negotiations],” presentation at the seminar “La Agricultura y la OMC. ¿qué esperamos de la Conferencia Ministerial de Buenos Aires? [Agriculture and the WTO. What are we hoping for from the Buenos Aires Ministerial Conference? ]”, Sociedad Rural Argentina, July 24. Argentina, Belize, Guyana, Nicaragua, Paraguay, and Uruguay are the six countries in the region where agricultural products represent over 50% of exports; in Brazil, Costa Rica, Ecuador, Guatemala, and Honduras, the percentage is greater than 30%. This clause establishes that there must be agreement on all the issues included in the negotiation for this to be concluded—in other words, nothing is agreed on until everything is agreed.